I know it's not the politically correct thing to say, but ghosts are real nags. They just float around all day waiting for you to solve their problems. And if you don't get to their demands, they'll spend the whole night moving furniture around and scaring the kids. It's as if they don't even care that you have a full-time job and obligations to meet. This is a problem Elena knows all too well. As the star of Whispering Willows, she's on a mission to find her missing father. He's the groundskeeper at a spooky old mansion, and she fears that a supernatural force has taken him hostage. It turns out she's right, but before any of the ghosts haunting the mansion will aid in this heart-warming quest, she'll first need to waste a bunch of time running errands for dead people. In case the set-up didn't make it clear, Whispering Willows is a horror-themed graphic adventure game for the PlayStation 4 and PS Vita. You control Elena as she explores the haunted mansion and the surrounding property. While most kids her age would be too scared to search through a ghost-filled house, Elena knows she has a secret weapon up her sleeve. Actually, it's around her neck. Her stylish necklace allows our fearless hero to make contact with the other side. 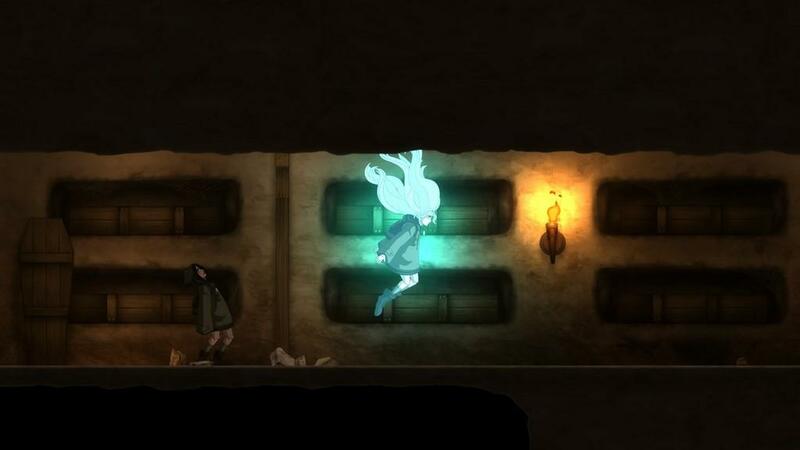 Having the necklace gives players the ability to turn Elena into a ghostly version of herself. Now she's able to interact with dead people and squeeze through small openings. 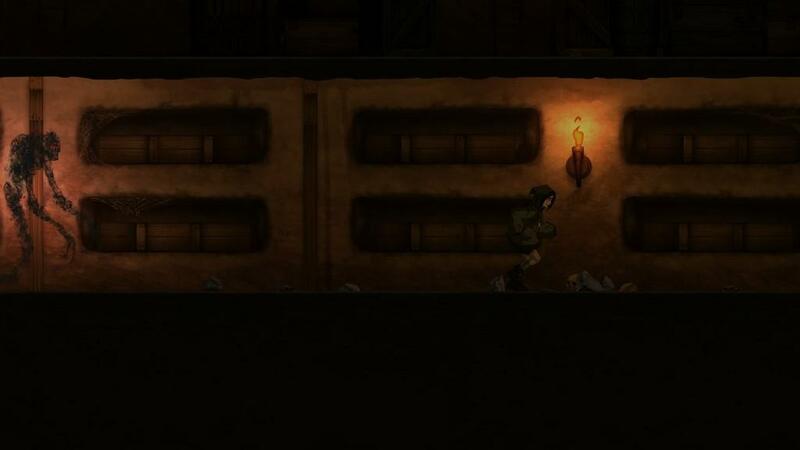 In true adventure game fashion, you'll solve puzzles by taking control over inanimate objects and locating items that would normally be out of reach. These two forms should be all Elena needs to make it through Whispering Willows safely. When she's not solving puzzles, Elena will spend a lot of time tracking down notes and diary pages. We learn of a family stricken with death and sorrow, as well as a serial killer who still haunts these grounds. While the story is well written and full of interesting characters, it has a lot of familiar twists and turns. The quest is presented as a side-scrolling adventure game, which can get a little confusing if you aren't paying attention. The mansion is filled with locked doors and mysteries to solve, sending Elena out to dig through the guest house, tool shed and hedge maze. Keeping track of where the doors lead ends up being the most challenging part of Whispering Willows. It doesn't take long before the game introduces enemies to avoid, but it never turns into an action game. With the exception of the necklace, our hero is always vulnerable and unable to fight off otherworldly attackers. But this never proves to be a problem, since so much of the game is about solving puzzles and uncovering the mystery of the mansion. 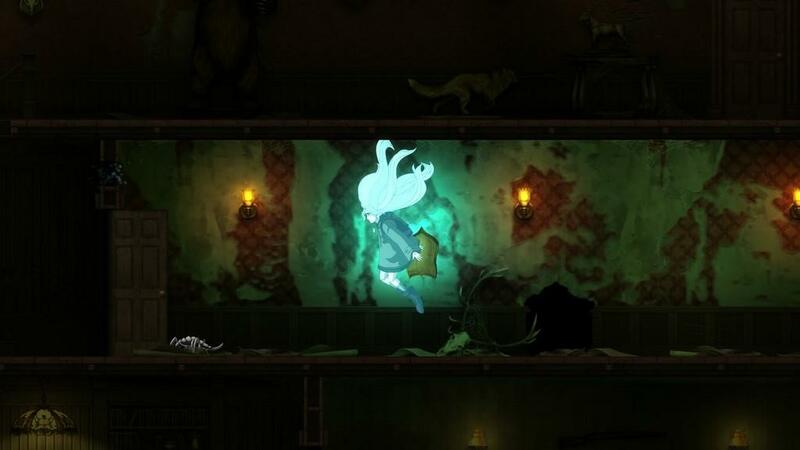 I can accept that Whispering Willows isn't very scary and the ghost story is far from original, but I wish the developers would have spent more time creating more challenging puzzles. What you get in this game barely registers as a puzzle, since it usually involves pushing a box or moving a table. Even the more challenging brain-teasers give the answer away seconds before the puzzle starts. With few enemies to dodge and simplified puzzles to solve, this game left me bored. While not always the most exciting game, Whispering Willows is beautiful. The characters and backgrounds are gorgeously hand-drawn, and the attention to detail is obvious. I wasn't as keen on the cinemas, which are a bit choppy and look like motion comics. It's also painfully slow, which makes getting around the large estate more laborious than it should be. I don't normally complain about the names of trophies, but this game is especially egregious. While there's some morbid humor sprinkled through the story, it largely takes itself seriously and does a good job of setting a tone. Unfortunately, all that is undermined when every trophy is named after a pop culture reference. Here's a character desperately trying to rescue her father, so seeing a Ghostbusters joke pop up takes me completely out of the story. Although it never fully realizes its potential, Whispering Willows is still an engaging graphic adventure game. Elena is a likeable character and I'm a big fan of the way each ghost looks. On the other hand, the gameplay is shallow and the story isn't very original. It's also not especially difficult, making this a good entry point for those new to graphic adventure games. 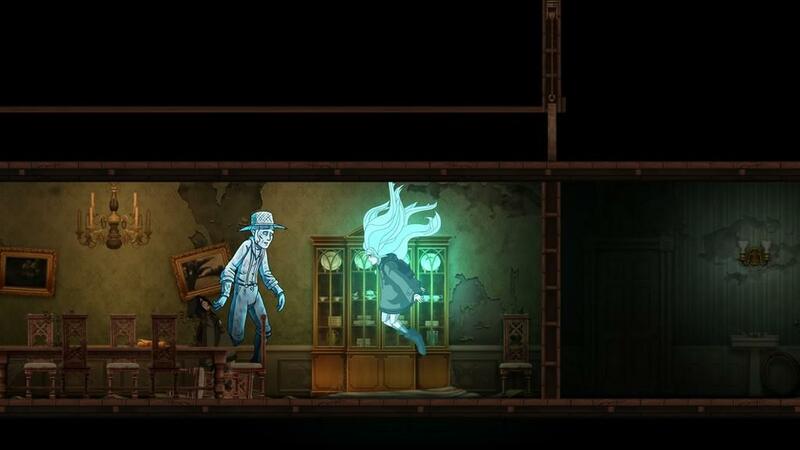 Whispering Willows is an engaging horror-themed graphic adventure starring a likeable hero and a haunted mansion. Unfortunately, the great presentation is undone by a predictable story and simple puzzles. Elena's journey may be full of ghouls and ghosts, but it fails to scare up much excitement.